The North Hempstead Town Board passed a law regulating the use of gas leaf blowers at its meeting Tuesday evening. The legislation bans the use of gas-powered leaf blowers on property within the town’s unincorporated areas between June 15 and Sept. 15. and requires that commercial landscapers obtain permits to work in the town. It is intended to promote green landscaping practices, preserve public health and deter unlicensed landscapers, the law says. The Town Board spent more than a year preparing the law. In March, it created an advisory committee that included landscapers, environmental activists and residents. “I remember the first time this was brought up as a possibility and we had some very angry landscapers with us, but we promised that we would have a committee that would look at this from all the different angles,” Bosworth said. Several people who had participated throughout the process thanked the council for its efforts Tuesday. “You are helping to eliminate many public health problems,” said Dr. Bonnie Sager, who co-founded the Huntington Citizens Appeal for Leafblower Moderation advocacy group. The law passed 4-0 with Councilwoman Dina DiGiorgio abstaining, citing the ethics code. She has relatives who are commercial landscapers who will be affected by the legislation, she said. The law will not go into effect until the beginning of 2020. 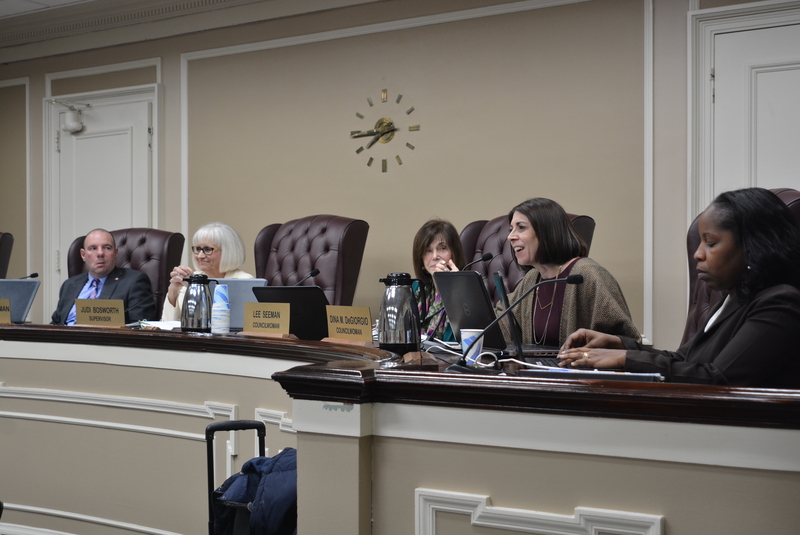 The Town Board also unanimously passed a zoning change and an amendment to the housing, rehabilitation and property maintenance code. The zoning code amendment modifies sections about parking and special use permits. “Were hoping that by amending this that we’ll go a long way toward speeding up some of the permit processes,” Bosworth said. One resident said he was concerned that would increase living space within homes to an additional floor. The property code amendment is intended to “simplify and clarify” code requirements, according to the law. One section regulates parking spaces and open areas. Boats may not be parked in front yards and junk vehicles must be in an enclosed space. The code also requires maintenance of foundation walls, roofs, windows and chimneys among a variety of other upkeep requirements for buildings and business units.